When it comes to searching for natural, readily available remedies with which to treat arthritis, or indeed any ailment, we naturally look back in time and take lessons from our ancestors. However, in the case of arthritis, we would have to go a long long way back – right back to the dinosaurs, in fact. Researchers in Bristol, UK, discovered that the 150 million-year-old skeleton of a Pliosaurus showed jaw bone erosion consistent with arthritis and that the Iguanodon, a relative baby by comparison at only 90 million years old, had osteoarthritis of the ankle. Even the mighty T Rex is believed to have suffered from gout. 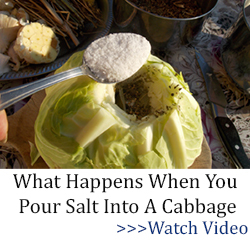 But what does this have to do with old fashioned cures for arthritis? Well, it goes to show that the condition has been around since time began, and that is a long time in which living creatures have been trying to beat the condition, or at least be able to live with it comfortably. Arthritis has even made a fool of the Historians. Our image of Neanderthal man is that of a stooping, hunched over, loping figure but the truth is that the first Neanderthal skeleton to be reconstructed happened to belong to an arthritic, the effects of which caused his stoop. And here is where this long leap into the past becomes relevant – tests carried out on the teeth of Neanderthals clearly showed that they too sought pain relief – both yarrow and chamomile were present in the results, and both of these plants are known for their pain relieving properties. Here’s how to make a powerful marigold extract to keep in your medicine cabinet (with pictures). They were pretty smart after all. Now, of course, we have pharmaceuticals to take care of it, but at what cost? And what would happen if those drugs were suddenly in short supply? Well, we could do what our ancestors did and look to the land for help. The Native Americans learned a lot about the healing properties of plants by watching their sick animals, noting which plants they went to for different ailments. They also revered the land, only picking every third plant to ensure a never ending supply. Native American remains dating back to 4500 B.C. showed characteristics consistent that rheumatoid arthritis, so it makes sense that they searched for and found many remedies. Many of these treatments can still be utilized today. Although this plant isn’t native to the States, Native Americans made full use of its healing properties when it did arrive circa the 1850s. 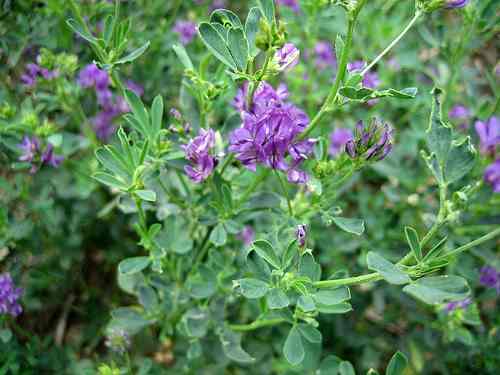 The roots of the Alfalfa plant can extend deep into the soil, absorbing many of the earth’s minerals and nutrients. As a pain reliever, the leaves were eaten as vegetables or steeped in boiling water to make a tea, while the seeds could be ground up to make a flour. 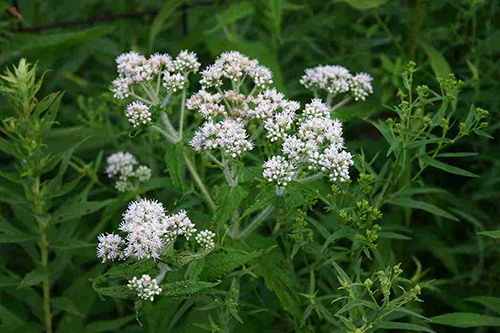 Very often in the world of herbalism, the name or appearance of a plant will give a clue to its uses, and Boneset is no exception. Originally it was used to treat Dengue, also known as Break Bone Fever, but it later became known for its ability to relieve arthritic and rheumatic pain. The leaves and flowers can be used in hot water, not only for pain relief but also as a remedy for colds and flu. 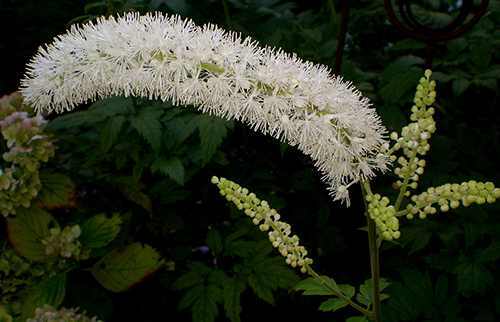 It was introduced to the USA in the late 1800s and was utilized by Native Americans in the treatment of arthritis. Making a hot poultice from the leaves and applying it to the affected joints provides relief. 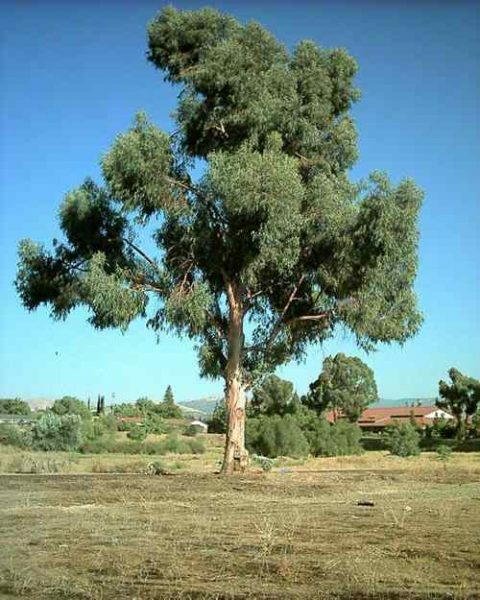 Eucalyptus trees can be grown in warm climates, or as indoor plants, but essential oil can be used when fresh leaves are not readily available, and when combined with a hot compress will ease the pain and stiffness of swollen, painful joints. 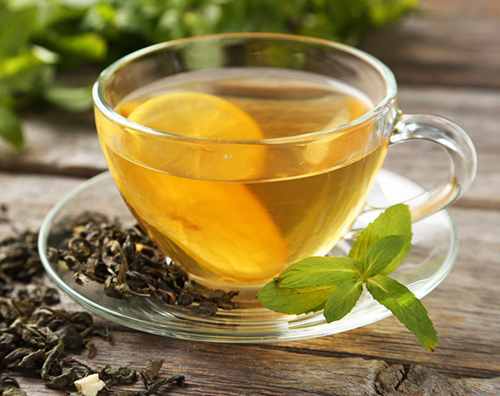 Native Americans knew regularly drinking green tea was of benefit to bones and joints. The science behind it is that the chemicals in the tea block the cartilage-destroying enzymes responsible for arthritis. Perhaps the most exciting of remedies used by the North Americans was that of Willow Bark. Such are its pain relieving properties that the salicylic acid found in the tree formed the basis of the analgesic we recognize today as Aspirin. The inner bark of the willow tree can be chewed, both as a pain reliever and as a famine food, and can also be boiled along with the leaves to make a pain relieving tea. Furthermore, the inner bark can be ground down and the sawdust can be used as flour. 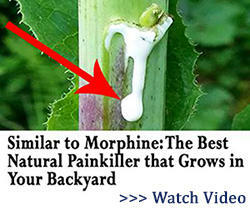 Of course, Native Americans didn’t hold the monopoly on natural arthritis remedies. As we have already seen, the condition has plagued us since time began, and each era and each people had their own methods of treating it. The Ancient Egyptians, for example, employed some interesting techniques. Very often in Ancient Egypt, honey would be applied to painful joints, as it was believed to ease the stiffness and pain associated with arthritis. They would also drink a glass of milk with and turmeric (which is known for its strong anti-inflammatory properties). 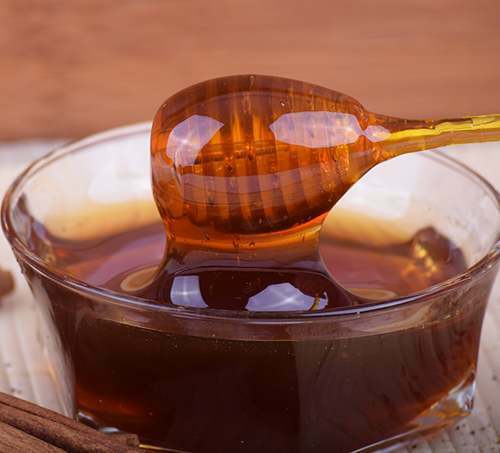 Here are the 23 survival uses for honey that you didn’t know about. 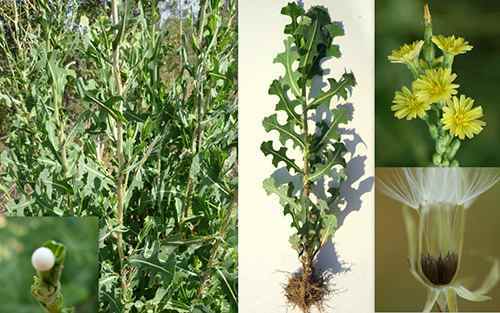 Considered a weed, Wild Opium lettuce can be found just about anywhere – in your back yard, at the side of the road, and on waste ground – and yet it is said to possess strong sedative and pain relieving properties akin to that produced by opium but without the side effects. The dried stem and leaves can be steeped in hot water and consumed as a pain relieving tea, or taken as a syrup by boiling them in water and sugar until thickened. There are as many remedies for arthritis as there are types of the condition itself (there are more than 100 forms of the disease), and while some are undeniably worth trying there are others which would make you cringe or laugh out loud, but they do say laughter is the best medicine. These methods are for enjoyment purposes only! #9. Carrying a potato! It was thought that by carrying a raw potato in your pocket, arthritis would be ‘absorbed’ by the vegetable and the pain would be gone! #11. Hammering on a bowl. We’ve all had those times when the pain has been too much for us, and all we want to do is sleep it off. Well, the Italians had a solution to that problem – they would place a wooden bowl over the patient’s head and then hammer on the bowl loudly until the patient passed out from the noise! #12. Electric Eels. The Ancient Egyptians used to place electric eels on a patient’s body and allow the shock to pass through them in order to relieve the pain. A much safer (and more pleasant) method is employed today in the form of TENS (transcutaneous electric nerve stimulation) machines. Pain has plagued us for as long as man has been alive, and our search for relief has produced some extraordinarily effective methods with which to gain that relief. But if you know where to look and what to do, Mother Nature has provided us with an overflowing medicine cabinet. Nothing like chewing on some bark lol. Would like to try it. Can you just order the white willow powder? I can make my own capsules. Of course you can. Starwest is an excellent company and there are many others. 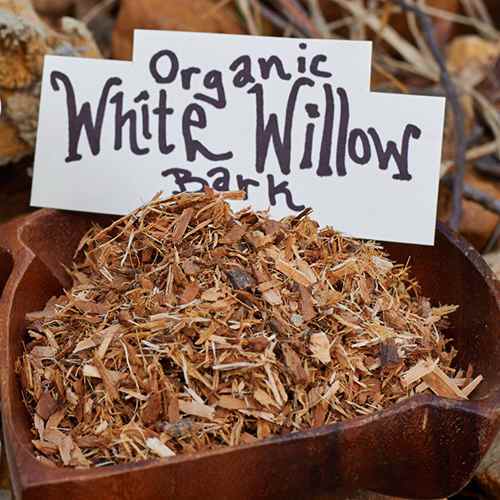 where can you buy white willow bark? Wait just a minute. The tea plant was native to China and cultivated by them for a long time before the Europeans became aware of its existence. According to a book I read about the history of tea, at first all the Europeans got was the cheapest tea the Chinese made. Green tea wouldn’t have been available in the U.S. until the Europeans arrived and started colonizing. I just finished reading a book by a man who spent 60 years as a trapper and trader starting in the early 1830s. 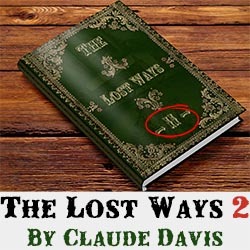 He made no mention of tea as a trade item throughout the book while he does describe the items that he did use as trade items to the Indians for their furs. I find it hard to believe that the Indians used “green tea” as an herbal medicine. I never heard of green tea until I landed in the Far East in 1955. The only tea that was available in the U.S. before 1955 was black tea. Same plant, just different treatment. Even today the so called green tea served in most Japanese and Chinese restaurants is a poor imitation of good green tea. My wife had green tea Friday night at, of all things, an Italian restaurant. It was Lipton’s green tea. It was a poor imitation of the green tea served in Japan. It has been too long since I was on Taiwan and in Hong Kong, so I don’t remember what the tea was like when I was in those countries. I don’t know what Indian was consulted for this article, but I would suggest that Indians, assuming they drink anything other than Bud, didn’t start drinking green tea until the 1980s when Japanese restaurants began to be popular in the U.S.
Well then, the article should so state. If we are talking about tea made from berry leaves, it would be well to name the berries utilized. Tea used as a generic term covers just about any warm beverage brewed from some plant material. Morman tea is made from the echinacea plant that grows in the mountainous areas of California and I suppose other areas as well. One can make tea from rose hips and a variety of other plants. When one says “green tea” without otherwise specifying, that usually means tea made from the leaves of the tea plant and processed without fermenting. It can range in quality from old leaves from the bottom of the plant with stems to the finest, smallest leaf tips from the top of the plant. Just a thought – Maybe the author’s original source for the article did state that Indians used green tea didn’t mean Native Americans, but rather those from India. They are called Indians after all. And tea is an Asian plant that’s not just in China. People do tend to get the term “Indians” confused with Native Americans when it is not specified which one is actually meant. True. However, the tea raised in India, according to the author of the book on tea was illicitly smuggled from China to India by an enterprising Brit. According to that author, it was illegal to export tea plants from China. They had a lock on the trade and wanted to keep it that way. He bought plants from a tea grower and then smuggled them out of China to be planted in the highlands of India where the tea still grows today. Don’t know how it got to Japan, although after India broke the Chinese monopoly, perhaps the Chinese just allowed the plants to be exported for a fee, of course. Better living through chemistry? Really? Are you aware of the frequent recalls of medicines produced chemically by pharmaceutical companies; not to mention the myriad of side-effects from chemically produced drugs. 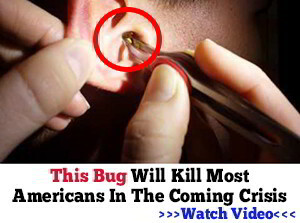 Don’t forget bee sting therapy. Bee stings hurt. I prefer bee pollen. I use it for my rheumatoid arthritis. It works great and is a whole lot cheaper that the biologic they had me on, plus no side effects. It also helps my allergies in the spring. I simply take a couple of spoonfuls with water, once a day. It took about a week or two to begin to see and feel results. I started taking it for my allergies and was surprised that it helped the RA too. Some people mix it in smoothies or other foods, but I found I prefer just to take it straight. I get the pollen from a natural food store. What they carry is locally sourced, something I greatly prefer. While you can probably find pollen in some grocery stores, God only knows where it comes from. Check your natural and health food stores to see if they carry local pollen. I think that I will stay with cortisone shots in my hands ( very painful ) than someone beating on a bowl on my head until I pass out. Green tea was used by Native Americans for over a thousand years and a quick internet check ( took me about 3 min. ) will show this. Mormon tea is brewed form the ephedra viridis plant which grows native in my area of northern Nevada and was and is still brewed as a tea in our area.I just want to add that I love this site and have gained much useful knowledge from it,but as always trust but verify. because yaupon is not an emetic). Traveling through North Carolina in 1775, the naturalist William Bartram said Cherokees called yaupon “the beloved tree.” Early settlers even exported yaupon to Europe. I guess we are splitting hairs. If any infusion of plant parts with hot water is defined as tea, then I would whole-heartedly agree that American Indians used tea probably from the first time somebody accidentally got some plant leaves in a pot of hot water and noticed that the flavor was better than plain hot water. If one insists that “tea” only comes from the plant Camellia sinensis, then, no, they did not drink “tea”. You are absolutely correct that Mormon tea is the ephedra viridis plant. I was having a brain fart when I called it the echinacea plant. I used to buy it from a company that harvested it and packed it up in the Bishop, CA area but I think California made it an illegal substance because I can’t seem to find the company any more. Gotta protect the good folks of California, you know, otherwise we might have a drug problem here in the state. As you can tell from my posts on this topic, I am not quite ready to sit for my PhD in botany. Again, Starwest, on-line carries bee pollen and probably propolis. They carry a wide range of herbal products including in bulk, capsules, tea, tinctures, salves, etc. Their products are quite good. They also carry capsules of different sizes and capsule fillers. 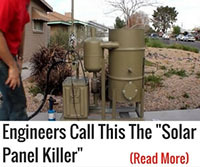 I know because I am a customer of theirs and sell such products along with using them. Ephedra was also known as desert tea and should be used as the whole herb as that gives it’s affect balance. 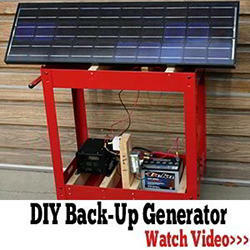 It should be used with great respect as it can increase heart rate greatly if improperly used. I have found it also helpful in treating asthma…but one must refer the idea to a physician…naturopathic or homeopathic. Bromalin, an extract from Pineapple works very well for me. To do what? Alleviate what condition? Does it really matter to argue over the history of green tea? We have it now, it helps, use it and thank God for however it got transferred around the world. 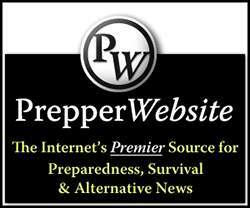 I HAVE TO SAY THAT I LOVE YOUR PROGRAM OR BLOG .I HAVE A FEW OTHERS THAT I SUBSCRIBE TO BUT. MOST OF WHAT THEY WRITE IS A SALES PITCH. YOU GIVE US HONEST TO GOD INFORMATION ON HOW TO HELP IN A CRISIS. I THANK YOU FOR THAT. had major shoulder surgery a couple months ago. still in a lot of pain especially at night. any ideas on something strong for the pain, it is beyond aspirin etc.